Talented Tanzanian music star, Lameck Ditto makes it two for the year as he comes through with a new song titled “Hali” and this is definitely impressive seeing as his last song was released only a few days ago. This new song is the second song from Lameck Ditto this year (yeah, as early as it still is in the year) after he dropped “Hali Yangu” earlier this month and we are digging this new enthusiasm that he brings into the new year and can’t wait to see what else is in stock. Lameck Ditto is quickly shaking off the newbie tag and soon enough won’t be regarded as new kid on the block with the slew of songs he has been coming up with since he got his break into the industry. Songs like Nabemba”, “Moyo Sukuma Damu”, “Tumshukuru Kwa Yote” have been released by Lameck Ditto in the past and they were hits. 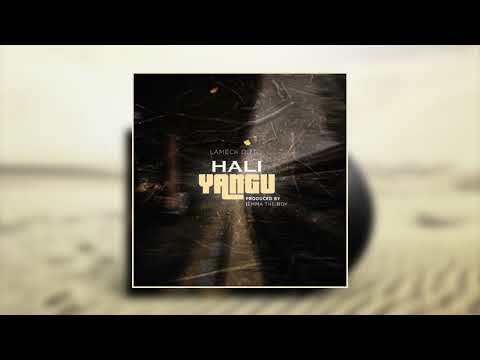 When you add the last one he released “Hali Yangu” to the mix, you begin to get an idea of the kind of talent this young artiste has and you should listen to this new song from him.